The spring of the year is when 4-H Dairy clubs should be working on Dairy Cattle Judging. The New Jersey State 4-H Dairy Judging contest is traditionally held in April. Even if your members are not participating in that contest, it is a great club meeting topic. Members preparing for a judging event should know the parts of the dairy cow (January 2018 Blog post) and can then further their knowledge about selecting a great project animal by participating in dairy judging activities. Having a general knowledge about structural faults can help members to select Dairy Bulls that will improve the genetics of their herd and increase general herd health in the future. A club meeting can use the judging contest on the Hoards Dairyman Judging website. This is an online contest of some of the very best dairy cattle in the country. Five of the dairy breeds are represented there. These classes can be used as an event at your next meeting! You will also find sets of reasons from previous contests there. Reasons seem to be the most difficult aspect of Dairy Judging for many of our younger members. If your 4-H members are interested in competing in the State 4-H Dairy Judging competition, current rules can be found on the New Jersey 4-H web site. 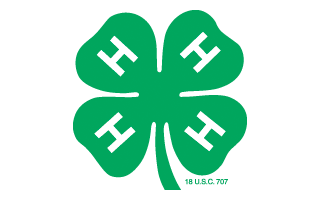 Members may enter this state competition through their 4-H Dairy Club Leaders.